This series began with a set of materials and a subtle minimalist approach to design. Notable for their clean finish, tactile nature and featherweight, the pieces create a textural object for the wall. Ana Isabel Textiles is a modern weaving collection of wall hangings and textile art for the home. 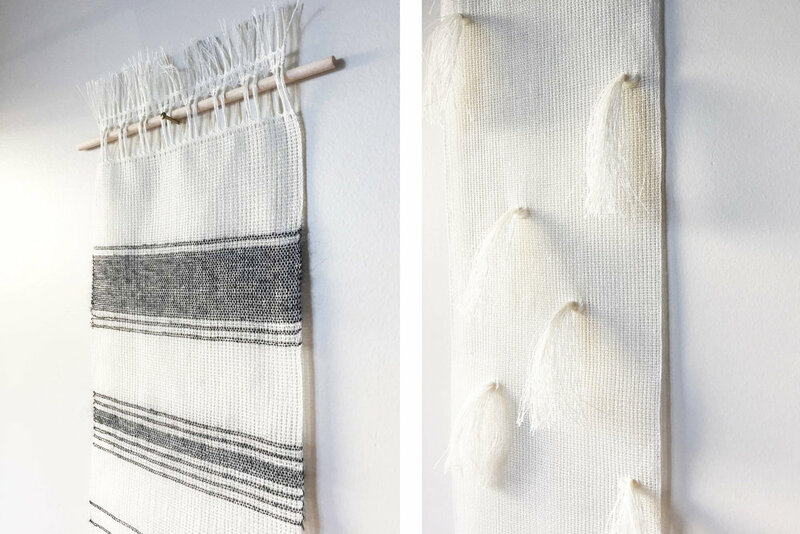 Ana designs, dyes and weaves using traditional equipment and processes using a minimalist aesthetic. She works with mainly silk and other natural fibers. After completing her diploma in Textile Arts in 2010, Ana has worked as a freelance weaver, weaving for other artists, for the film industry, commissions for private clients, as well as putting together her own collection of work and teaching. She continues to show her work annually through artist studios, shops and shows that focus on design. Ana is currently living and working in Vancouver.